You can now upload your research data on Mendeley when you submit your paper on SSRN. SSRN is a research paper repository specializing in social sciences, including economics, law, corporate governance, and humanities. It is a great way to share your work and read the work of other researchers. Mendeley started as a reference manager and is now also an academic social network and a research data repository through Mendeley Data. SSRN and Mendeley are both edited by Elsevier. Recently, SSRN added a feature to help researchers like you upload their research data on Mendeley while they post their research paper. Then, the data will be linked to the published paper and be citable so the researcher can receive credit if another researcher uses it. If you are interested in this new feature, next time you log in, while you post your paper on SSRN, just click on Upload research data and you will be redirected to Mendeley Data. It is a good opportunity to capitalize on your work. Letting other researchers accessyour data can help them validate your research and increase your own confidence in your work. – signing in to hq.ssrn.com, clicking the Personal Info link on the left menu and scrolling to the bottom of the page. This feature could make it easier for our authors to connect, communicate and collaborate. SSRN’s new search page centralizes all the search tools on a single place. Quick Search and Advanced Search are combined onto one tab, so that you can switch to Browse SSRN Networks or Browse JEL Codes. The Browse menu leads you to institutions pages such as HEC Paris, which can be found under the “Management Research Network” and “MRN Business School Research Papers” category. If the network you would like to subscribe to is not listed above, contact the library who will pay for an individual subscription for you. 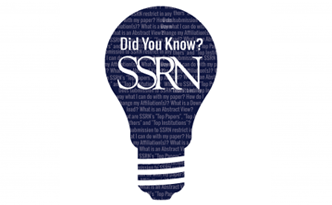 SSRN receives close to 70,000 new submissions and over 40,000 revisions each year. Authors use SSRN to share their research and often submit different versions of the same paper along its evolutionary path because they may provide different value to different readers. How to select the most relevant e-journals to your research on SSRN? In order to give more exposure to your research papers, when you submit them to SSRN you can select up to 12 subject matter eJournals in addition to the collection HEC Paris Research Paper Series. To select them, you simply display the topics you are interested in. SSRN provides additional information when you pass through each theme. 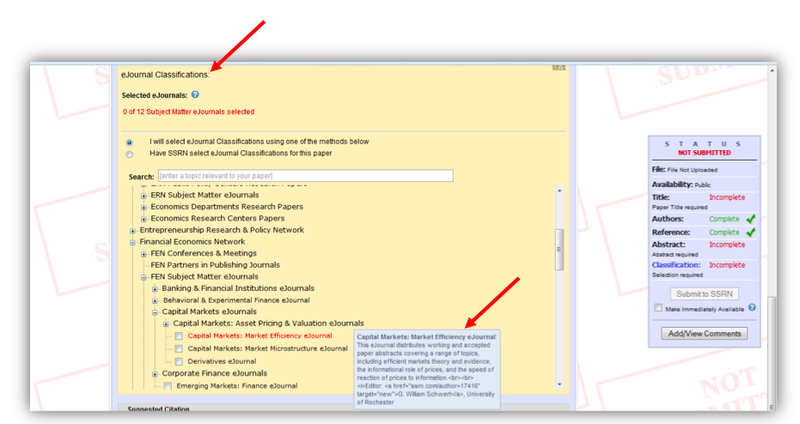 However, to get an overall view of eJournals, you can use the Browse tab and display the proposed topics. On the information notices associated with the eJournals, you may find links to the Top downloaded papers or Most recent papers. You can subscribe to eJournals in order to be notified about the most recently published papers. The subscription link is located at the top of the page dedicated to each eJournal. 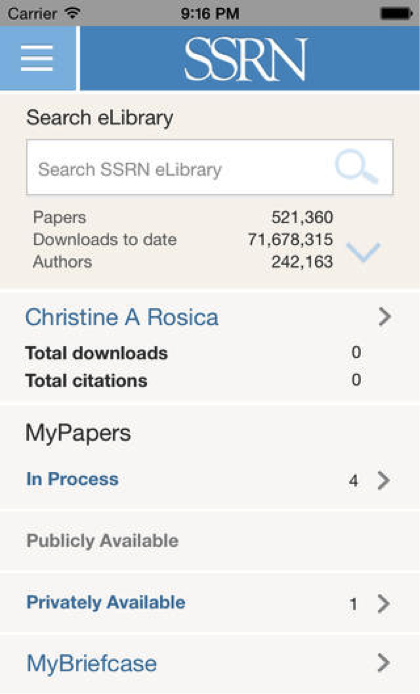 SSRN is available for smartphones and Apple tablets. More than 250,000 papers are downloadable in full text. The app iSSRN is available on the App store. – In 2014, HEC Paris researchers posted 88 papers on SSRN. The most represented disciplines are “Finance” and “Economics and Decision Sciences”. – HEC Paris is ranked #8 among the 1 000 top international business schools thanks to the 35 770 downloads in 2014. – Statistics indicate that, as of the end of 2014, HEC Paris faculty member Alberto Alemanno ranks 18th (out of 3,000 authors) on SSRN’s list of the 100 most-cited law professors. 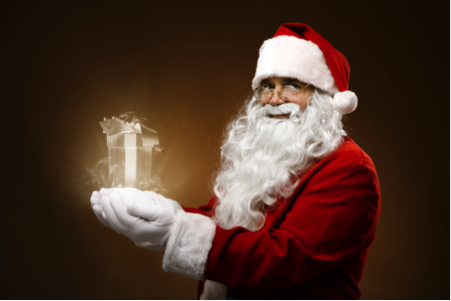 Christmas Economics – A Sleigh Ride by Laura Birg (University of Goettingen) and Anna Goeddeke (Reutlingen University – ESB Business School) – November 17, 2014. SSRN has just integrated ORCID IDs into its database. 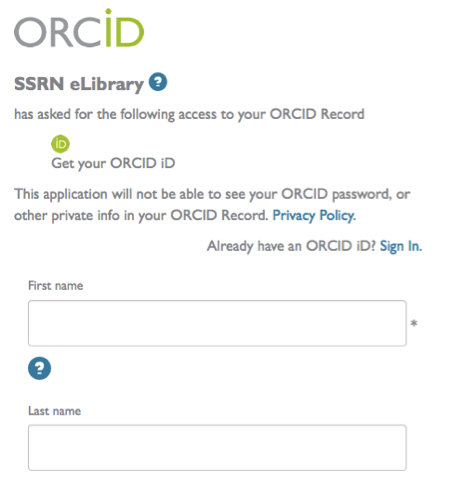 To be recognized by SSRN with your ORCID number, you simply need to log in your account and edit your personal information. You will be able to connect or create your ID on the same page. As of December 12, there were 1,051,707 live ORCID IDs and 196,344 ORCID IDs with at least one work. 87 papers have been submitted within the last 12 months, bringing the number of papers published under the name of HEC Paris to 630 for the last 10 years, contributions from 110 authors who are (or have been) affiliated with HEC Paris. There are 491 papers in the collection HEC Paris Research Paper Series on SSRN. The papers in the HEC collection have been downloaded 34 388 times over the last 12 months, an average of 54 downloads per paper. HEC ranks 8 out of 1 000 international business schools on this statistic. Every month, a new issue of the eJournal of the collection is published with the last papers submitted. Click here to subscribe. For all questions concerning the submission of papers, pre-prints, forthcoming or published articles, do not hesitate to contact the library.